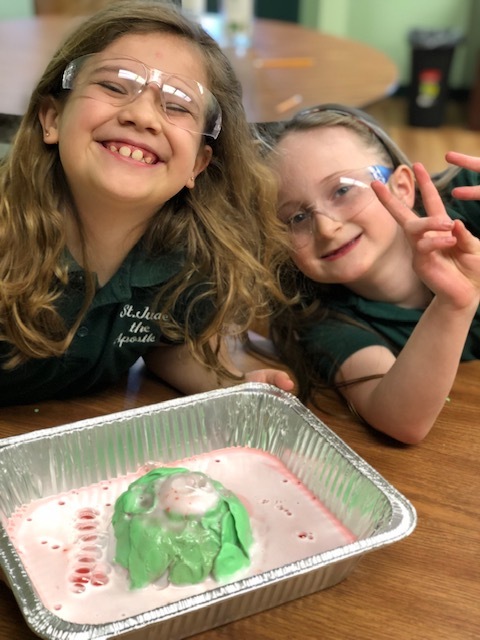 This week the 2nd and 4th graders built their own volcanoes and simulated an eruption. 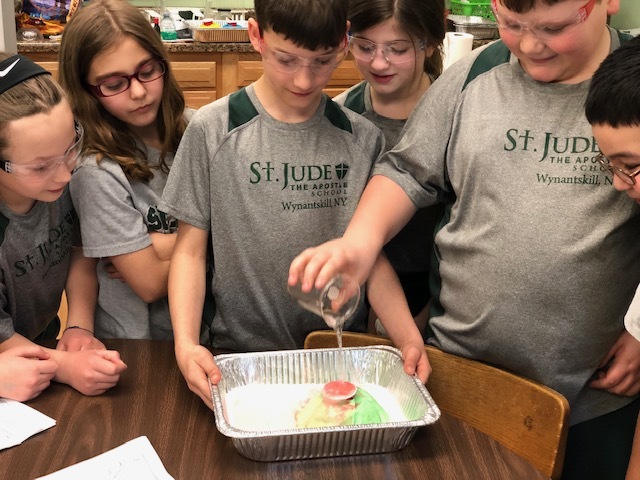 First they saw how to create the volcano using play-doh to represent layers of hardened rock and ash on the volcano cone. 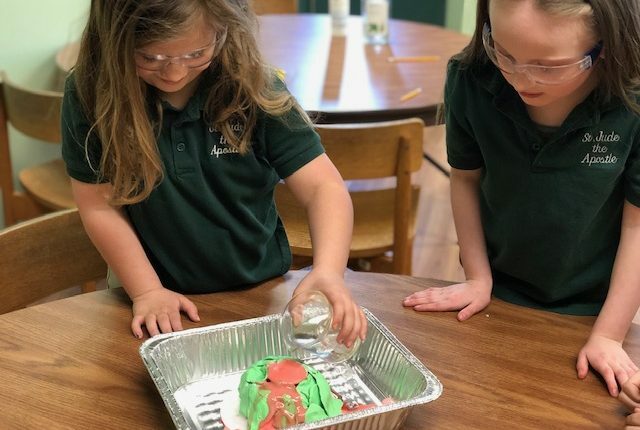 Then they learned and observed how a chemical reaction between baking soda and vinegar could simulate a lava flow. 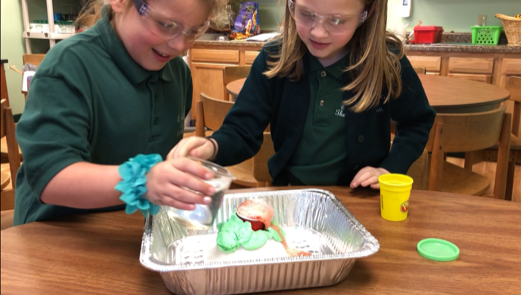 Then they built their own volcanoes and they were able to add the vinegar to create their own eruptions!